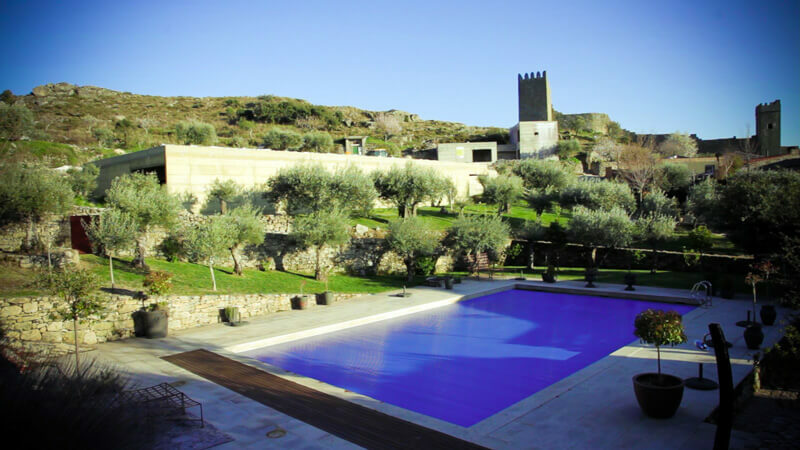 In Torre de Moncorvo, and more specifically in the Vilariça Valley near the National Road 102, the Quinta da Terrincha is located in the Douro Demarcated Region. 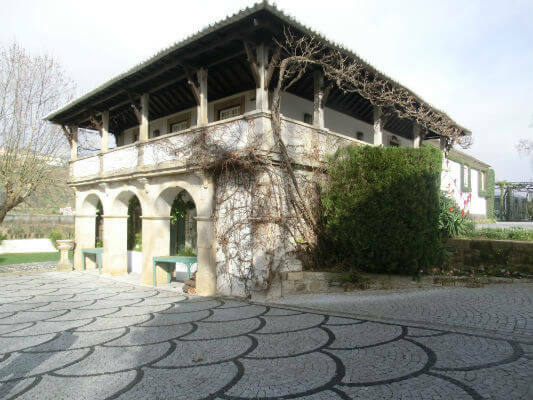 It once belonged to the Counts of Pinhel and today is owned by the Seixas Pinto family who acquired it in the late twentieth century in a state of neglect. 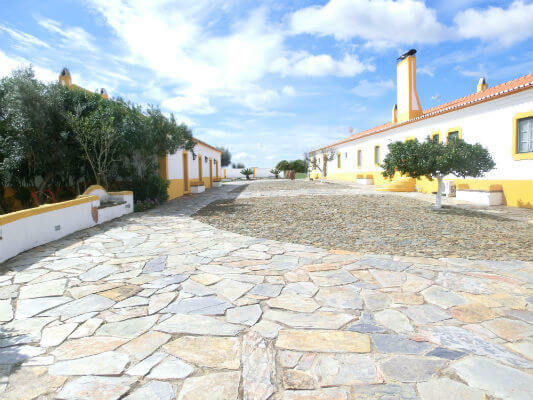 This is a property with an area of over 300 hectares that has undergone a comprehensive redesign with the intention of not only monetize the investment, but also return all relevance and graciousness that Quinta da Terrincha had once had. 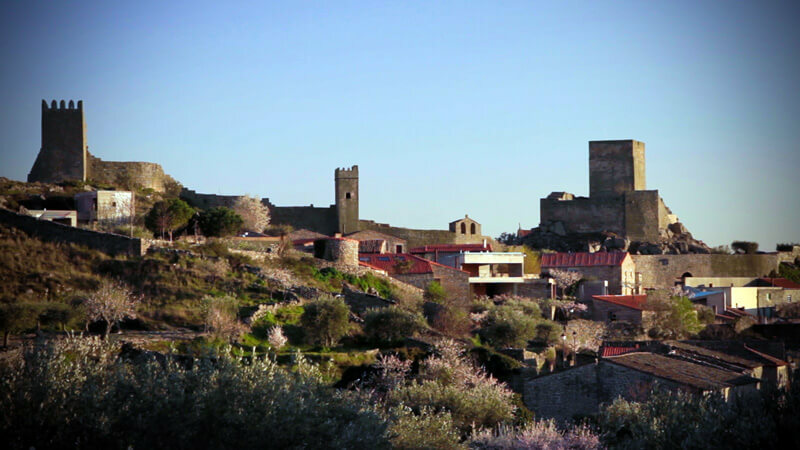 Thus, the family proceeded to planting considerable expanses of vineyards and olive groves and invested on wine tourism having now a restaurant “Canto da Terrincha” and a hotel complex consisting of a hotel in the finishing phase and 15 rural tourism houses of typologies T1, T2 and T3. 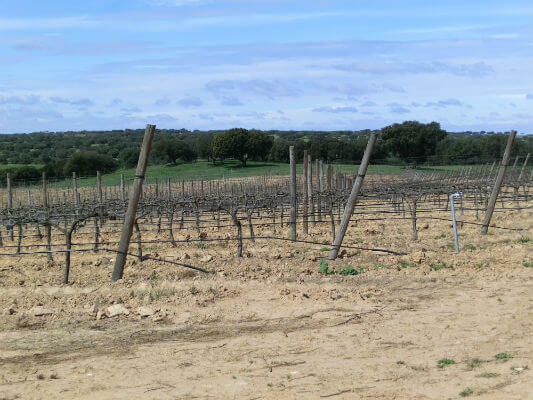 To the initial 50 hectares of vineyards planted with the grape varieties (Alicante Bouschet, Touriga Nacional, Touriga Franca, Tinta Roriz, Sousão, Gouveio, Viosinho, Rabigato and Arinto, among others) they added in 2016 another 13 hectares. 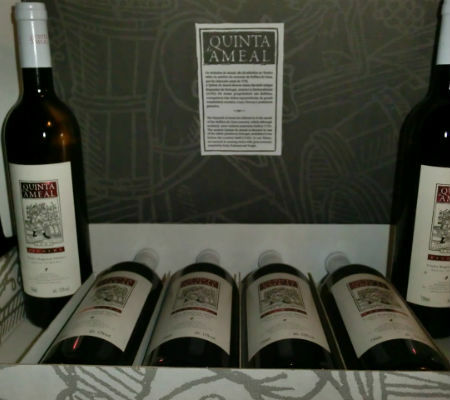 These are the grapes that give birth to the Quinta da Terrincha wines, namely Quinta da Terrincha red, Quinta da Terrincha white, Quinta da Terrincha Rosé and Quinta da Terrincha red Lote T13. 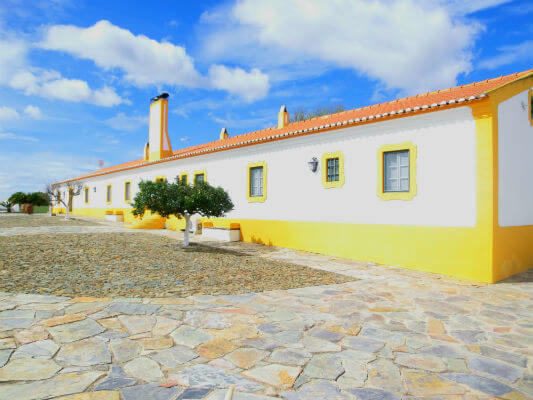 Besides the wine, the olive oil is another important investment of this Quinta. 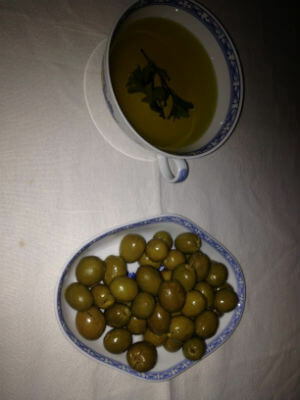 In total there are 80 hectares of olive groves with the varieties Verdeal, Cordovil, Cobrançosa, Madural. 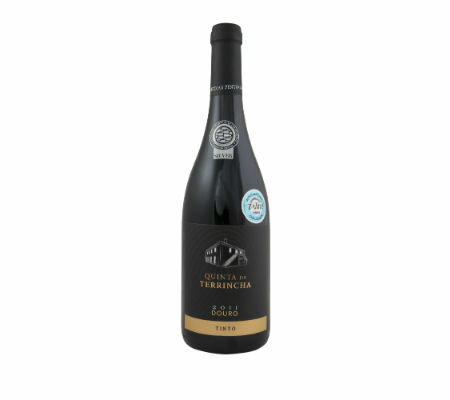 Quinta da Terrincha’s olive oil is the result of an organic production process, which benefits greatly from the climate and soil conditions of where the olive grove is planted. Cheese is another highlight product of this Quinta. 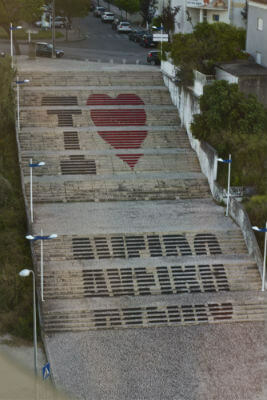 Quinta da Terrincha has its own production of Terrincho cheese, a protected designation of origin (DOP). The cheeses are produced in the Quinta’s cheese dairy and are 100% made of Churra da Terra Quente Transmontana ewes’ milk (also known as the Terrincha sheep), which are seen as excellent milk producers for the production of this unique cheese and much appreciated in the entire Portugal’s extent. The Terrincho cheese is a ripened cheese that undergoes a maturation of no less than 30 days to a maximum of 90 days, which originates the variant Terrincho Velho. In addition, they also produce fresh cheese and creamy cheese. 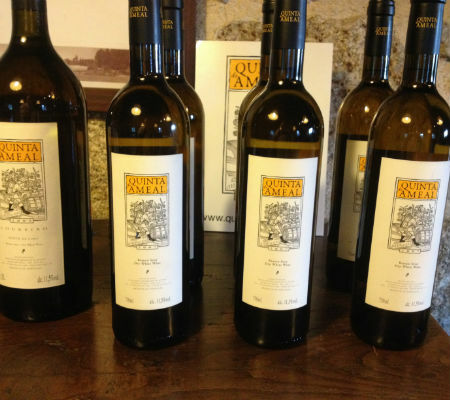 Other products of this Quinta are the vinegar, table grapes, olives, honey, pumpkins, among others. 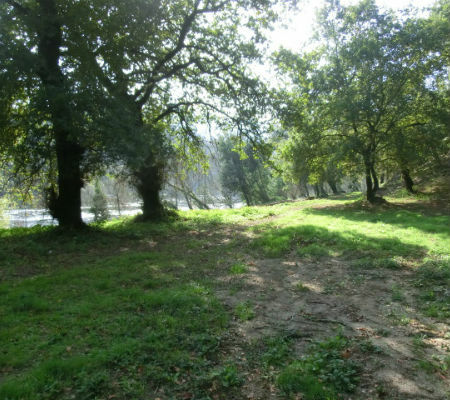 In addition to the Vilariça Valley, Quinta da Terrincha also has a vast mountainous and steep area, totaling 80 hectares, where we can find waterfalls, mines, ponds, 20 hectares of poplars and a grove of oaks and junipers which is an important priority habitat of the Rede Natura 2000. 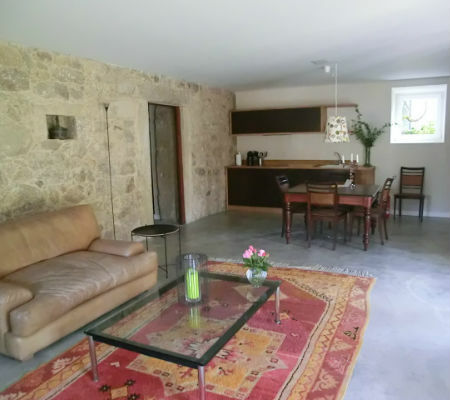 All very well interconnected with walking trails that allow visitors to experience in fullness, and in a functional way, all the beauty of this Quinta. There, on top of the mountain, the view is wonderful and one can see the entire length of the Quinta, the Valley and all its surroundings. 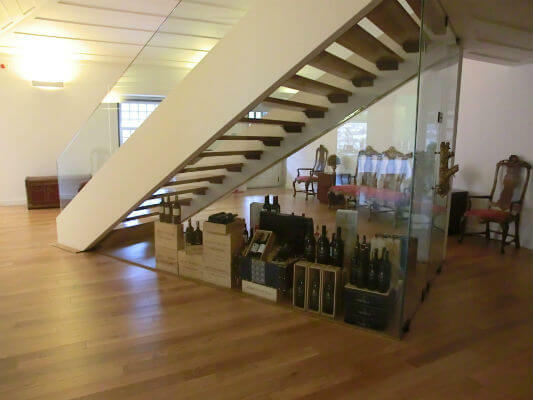 Taking now a closer look at the extent area dedicated to the wine tourism, with a total of 70 hectares, the Seixas family started in 2009 the recovery of all existing buildings having now 15 rural tourism houses of typologies T1, T2 and T3 totaling 30 rooms. 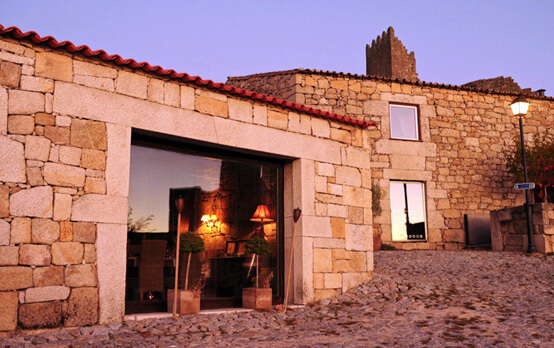 Also, in finishing stage is a small hotel of charm in the Antigo Solar Oitocentista (Casa Mãe), which aims to provide the guests a comfortable stay while allowing them at the same time to enjoy all the rurality and rustic environment that characterizes the Trás-os-Montes and Alto Douro region. 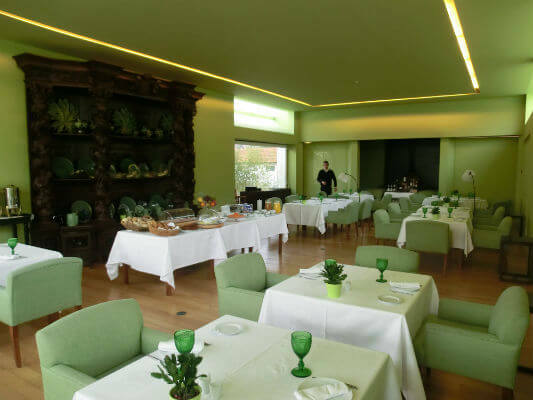 All of this is complemented by the “Canto da Terrincha” restaurant with capacity for 40 people, and whose motto is “every customer is a friend!” The aim is to offer customers a peaceful and welcoming atmosphere so they can enjoy the most the typical regional dishes. 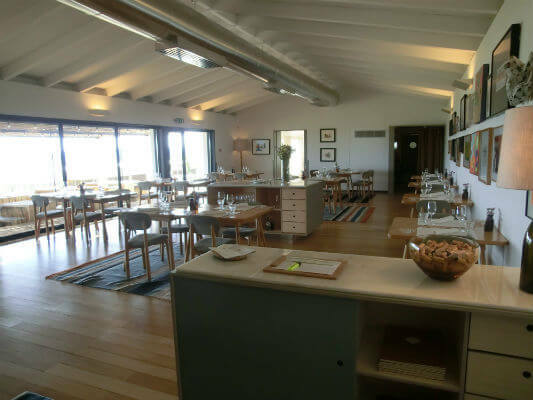 Food quality is guaranteed, since almost all products that are available and are used in the restaurant are from the Quinta itself, sporting a certificate of organic farming. 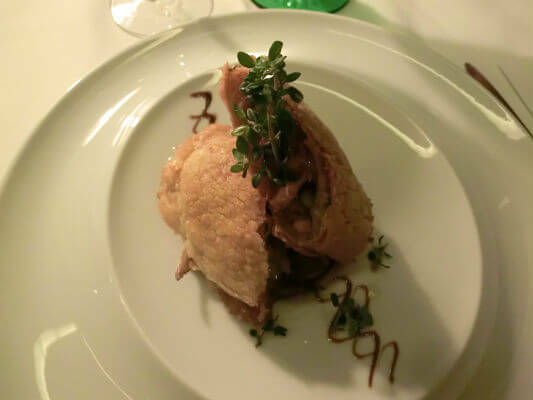 Some of the specialties that you may try at this restaurant are the posta de vitela (veal), costeleta de vitela (veal chop), alheiras, kid, river fish (bogas), cod in the oven, octopus “drowned” in olive oil, among others. Finally, between the many desserts there is a very special one, the delicious Terrincho cheese with pumpkin jam. 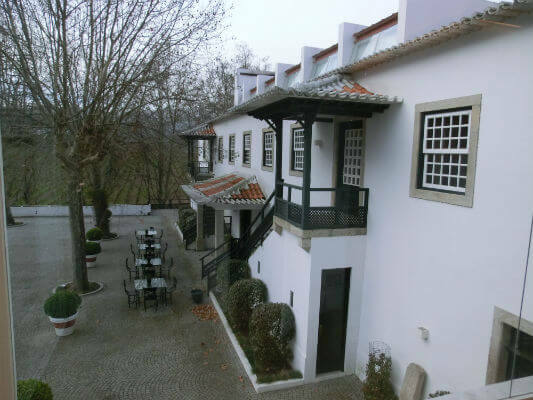 If you haven’t been there yet, Quinta da Terrincha is undoubtedly a Quinta to get to know whether it be accompanied by your partner, family or friends, and let yourself go by its wine, gastronomy and surrounding environment! 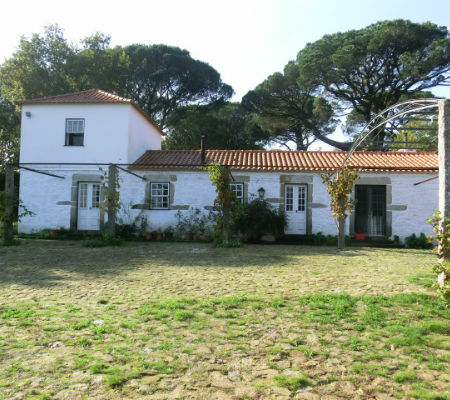 Just 25km northeast of Lisbon we can find Quinta da Murta. It’s a remote and protected area with a great diversity of flora and fauna located in Bucelas, in between limestone hills in the Lusitanic Basin. 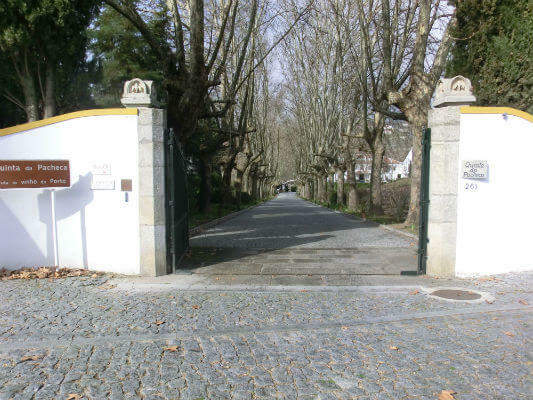 Their wines are made in a natural way and maturated on full lees with “batonnage” and bottled at Quinta da Murta facilities. 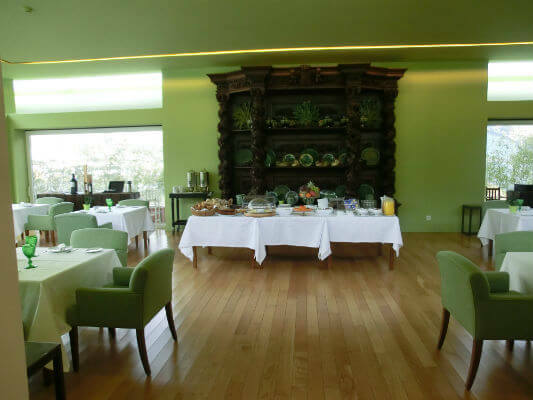 Here we can find an events hall, a modern winery and cellar, a tasting room, a villa with a pool complemented with its amazing exterior deck that provides a beautiful view of the valley and its limestone cliffs and can hold up 300 guests which makes it a perfect venue for any kind of events, be it big or small. 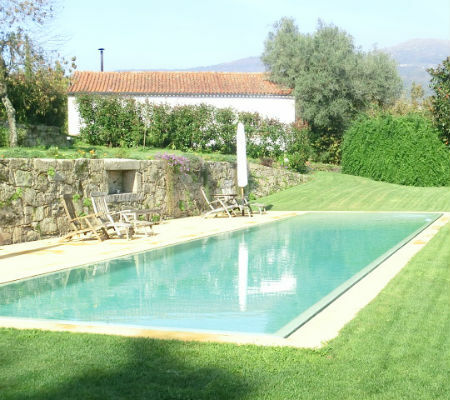 Quinta da Murta is a beautiful place waiting for you! Check out all of this and much more on the video below. 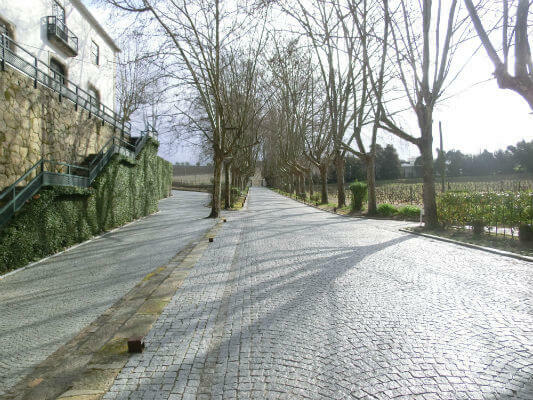 It was with the dream of producing high quality wines, the best in the world, that in 1998 the Soares family (João, Paulo, Rita and Margarete Soares) acquired Herdade da Malhadinha Nova. 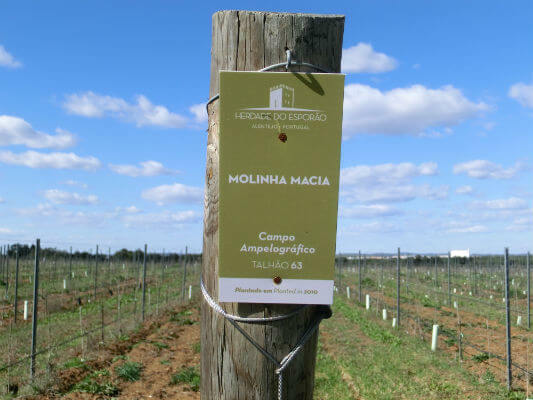 The first vines were planted in 2001 and in 2003 the Malhadinha’s wine cellar was inaugurated in which it was also integrated a restaurant that offers a signature cuisine with local and fresh products. 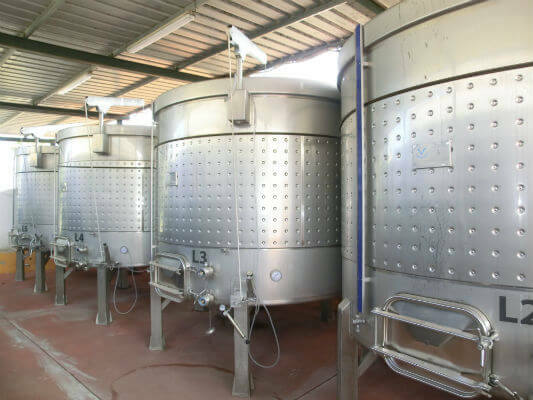 The vinification is made in modern refrigerated vats where the traditional methods of winemaking and the use of technology merge together. The labels of all wines produced at Herdade da Malhadinha Nova are drawn and designed by the younger generation of the Soares family. 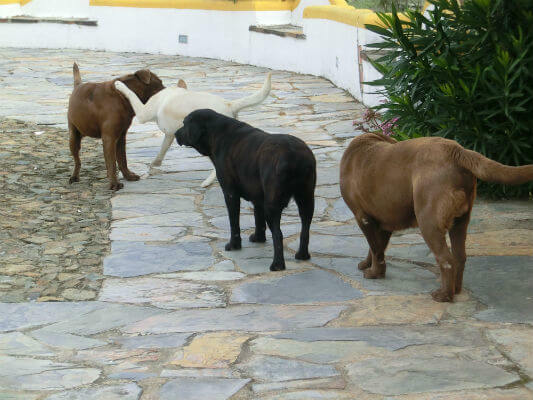 In the property they also raise Alentejo cattle and black pig. We can also find and olive grove and a stud (that was born in 2008 that had right from the start 6 thoroughbred Lusitano mares). The hotel, with an integrated Spa, blends tradition with modernity, merging design, rural concept, comfort and elegance together resulting in a complete wine tourism unit with a wide range capable to respond to all visitors, whether they are wine/gastronomy/nature/culture or tradition lovers. 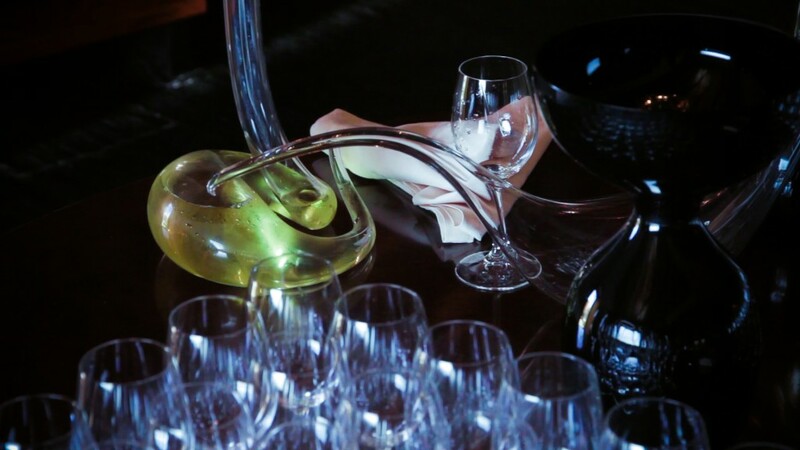 There’s also a broad range of activities and experiences such as visiting the estate and the winery, a number of wine tastings and wine tasting courses for beginners, thematic wine tastings, barrel tastings and lunches or picnics in the vineyards, horseback riding or ballooning. Don’t lose the next piece about Herdade da Malhadinha Nova which will be published next Thursday (December 10). Meanwhile stay with this amazing video and João Pedro de Carvalho’s previous article about this estate’s wines. 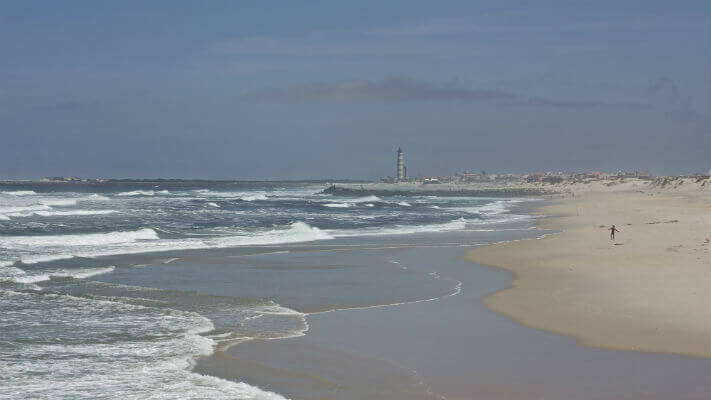 One day, a couple from the North of Portugal decided to buy this piece of land near Sousel. All they had to do then was rebuild some buildings, especially the main house, making it comfortable enough to live in. 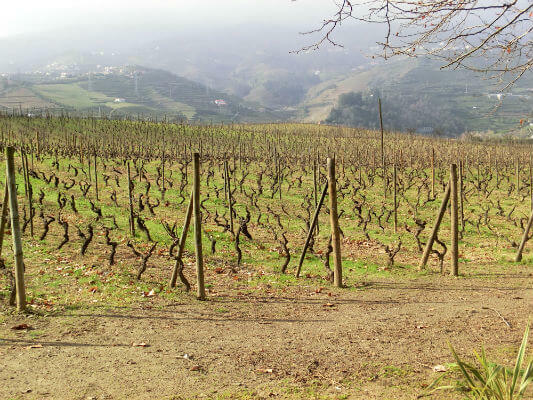 Once the vineyards were planted, producing wine was only a baby step away, thanks to the precious help of oenologist and friend António Maçanita and an expert in wine growing, David Booth, who already left us. 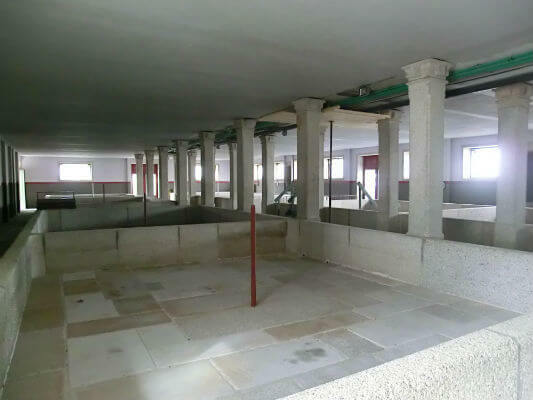 Although they want to build a new cellar, the current one has all the necessary conditions and modern technology. 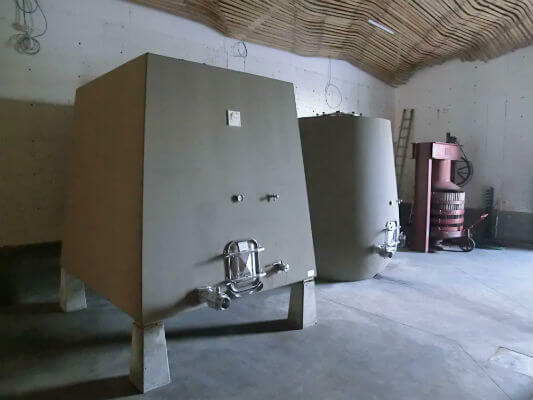 This is where grapes and wines are prepared, and where wine waits to be bottled. 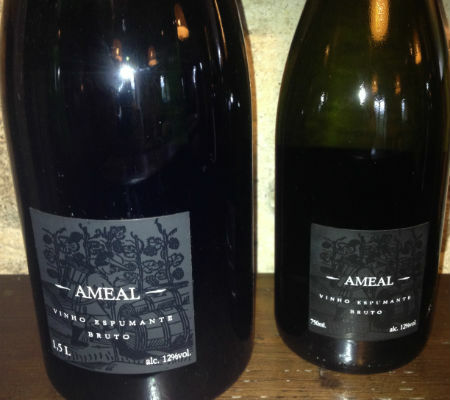 In the meantime, the couple’s son, António, and his wife Marta got busy selling the wines. Marta, who works in Design, designed the very unusual labels – really quite unique, and which make Arrepiado Velho bottles stand out in the crowd. 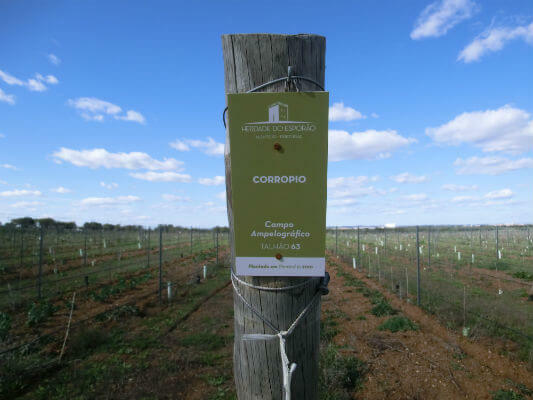 They got so involved in the project, they decided to move to Alentejo and work full time on producing and selling these quality wines. 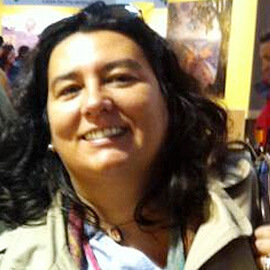 Marta stayed linked to Design. Even though they have two small children, they get excellent quality of life, and have adjusted perfectly. 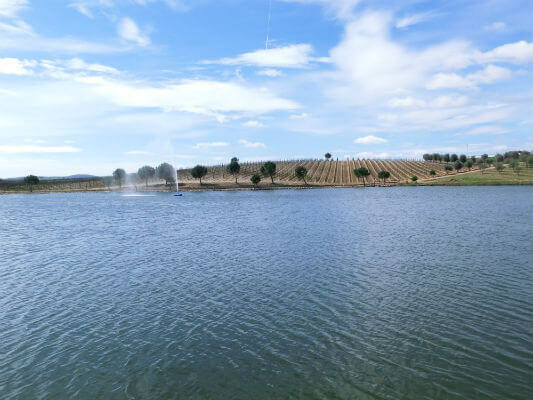 The land has been developing; it now includes a lake, which stores all the water the vineyards need, but is also used for leisure, for instance the fun trips on the pedal boats. More than 75 acres of vineyards look very well kept and healthy, and the olive trees produce some quality olive oil. 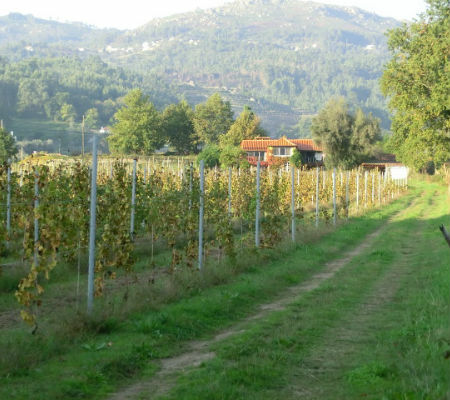 They want to plant more vineyards soon and add them to the existing varieties: Antão Vaz, Verdelho, Chardonnay, Viognier and Rieseling for white wine, and Touriga Nacional, Syrah, Cabernet Sauvignon and Petit Verdot for red. 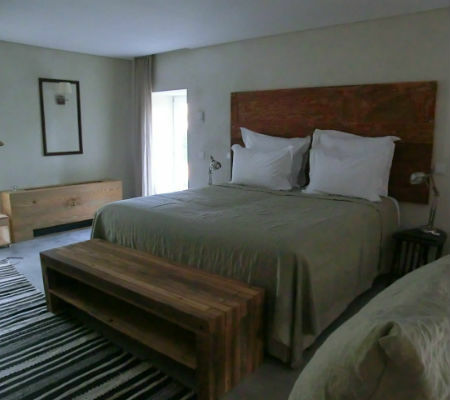 A number of rooms and a beautiful pool opens the doors to wine tourism in Arrepiado Velho, although they want to improve on it. Many local products are used to make breakfast and other meals served there. 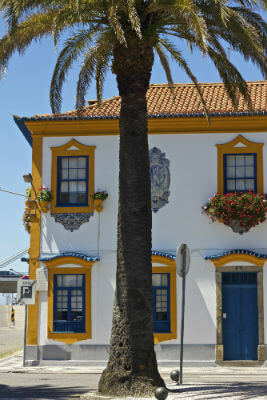 Other products come from the same region, offering a variety of Alentejo traditional items. On a walk around the land, we see vinyards all around, interrupted here and there by olive trees and holm oak. 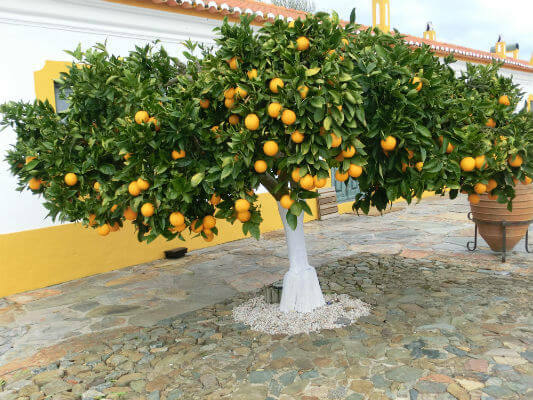 The traditional orange trees are present too, keeping visitors and playful dogs company. 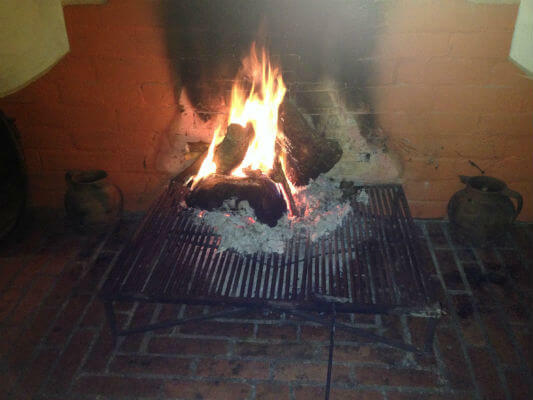 At dinner, by the crackling fire lit to prevent the evening chill, we relished a full table. 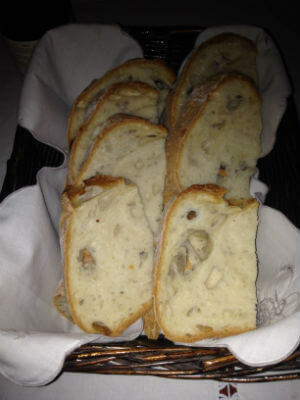 Delicious regional bread came with olives, and tasted lovely dipped in olive oil. 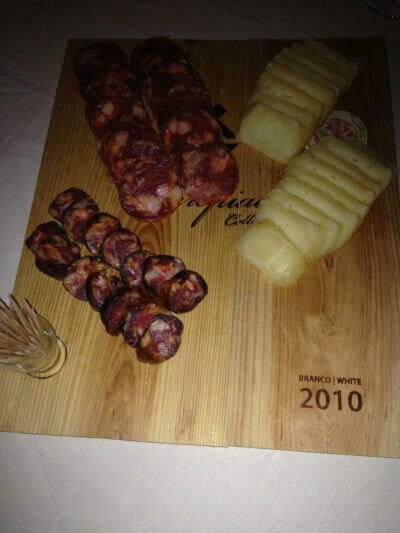 And a board of different sausages and sliced cheeses tempted everyone. Meanwhile, our glasses were filled with white Antão Vaz 2014, which surprised us with its freshness, aroma and some tropical fruits; although non-exuberant, it revealed a good body and very balanced acidity. Right after that, Arrepiado white 2014, refreshing in the nose, with some pineapple, something mineral, good acidity and quite balanced. 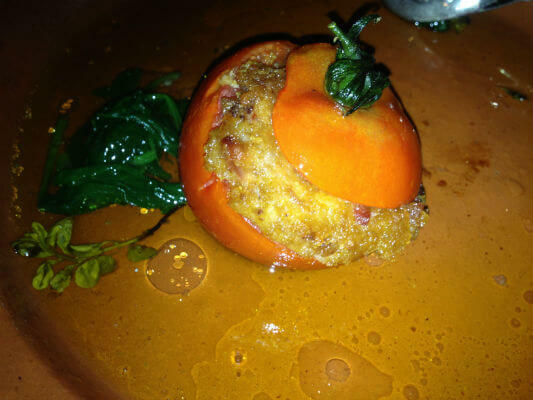 Then, followed a very flavourful and rich stuffed tomato, which led to a surprising white Rieseling of very fresh citrusy notes, pineapple, grapefruit, and mango. 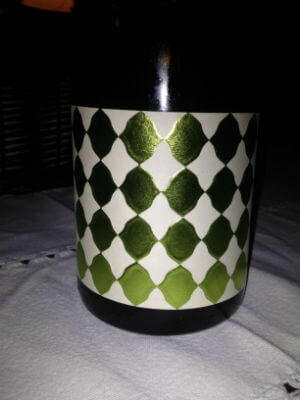 In the mouth, it is very elegant and persistent, staying fresh – a very interesting wine. Then, it was time for Arrepiado Velho Rosé, made from Touriga Nacional and Syrah, slightly floral in the nose, very fresh, an intense and full mouth, notes of very elegant red berries, which paid excellent company to the delicious sautéed mushrooms, in turn meaty and well seasoned. The first red was Brett Edition 2011, with developed aromas, tobacco, leather and some spices, good volume in the mouth, round, elegant, persistent – a different wine. 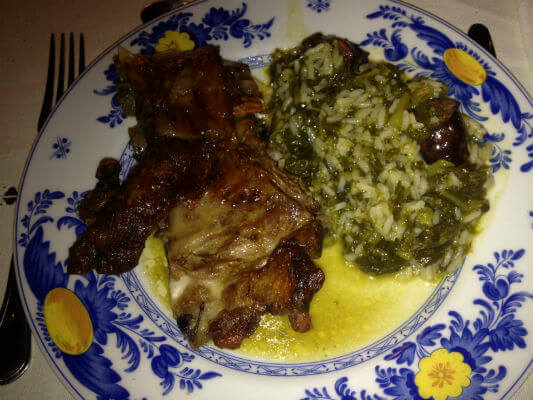 It accompanied a lamb roast and runny rice with greens and chouriço – excellent. We finished with a superb Red Arrepiado Velho Collection 2011 – full of class and dark fruits, notes of tobacco, slightly balsamic in the nose, a voluminous mouth, notes of smoke, chocolate, ripe dark fruits and a lasting finish. 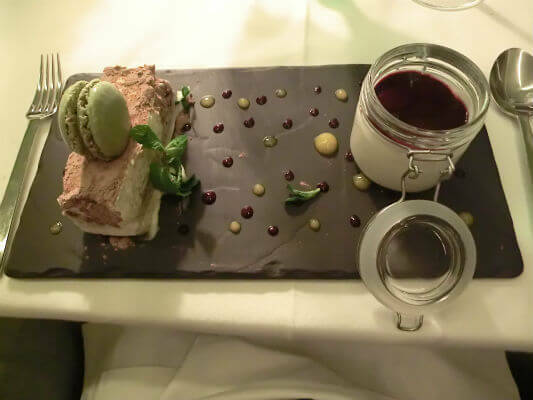 And there was no room left for dessert. 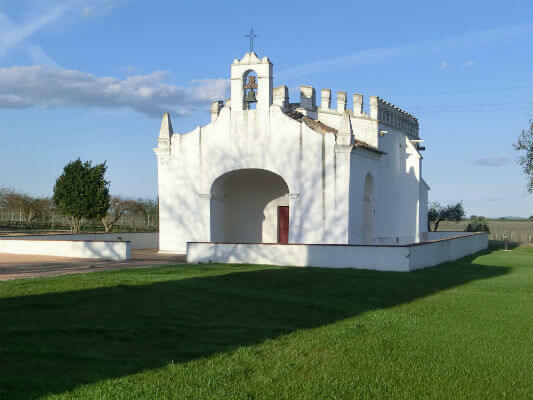 One of Alentejo’s greatest properties, with 4450 acres of land, 1100 of which have active vineyards and the other 200 acres have olive trees producing excellent olive oil. 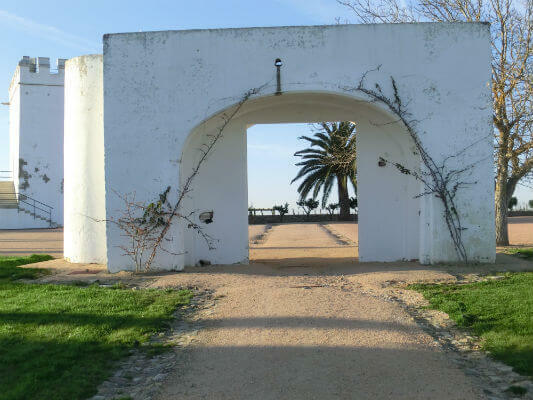 If we add a very well designed countryside cellar, a restaurant making excellent food, a wine shop selling various items and a pool of water that helps mould the landscape and waters the entire complex, we will get one of the few wine tourism locations in Alentejo. One day is not enough to enjoy it properly. 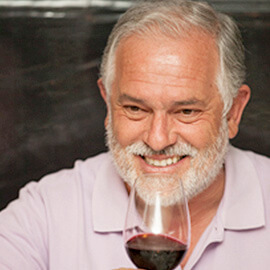 Out of all of the above, the most attractive feature is the production of the wine– besides the breath-taking landscape of unusually endless vineyards, the quality and care they put into everything they do, and, of course, the wines of many levels, where quality is the standard and almost an obsession. 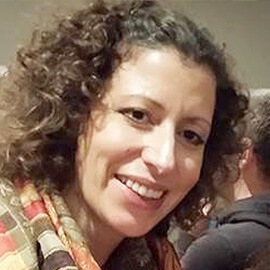 This team is led by an oenologist who, although born far away in Australia, has become very Portuguese and was recently naturalised as a Portuguese citizen. 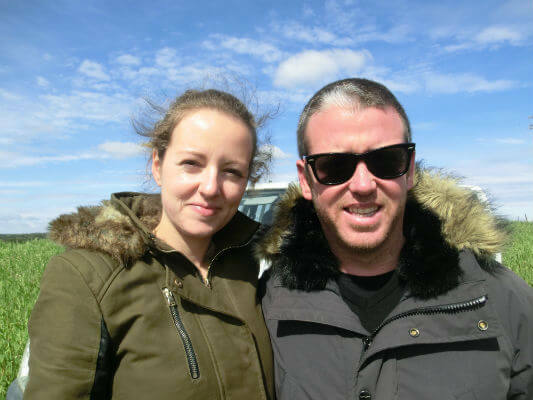 David Baverstock can’t hide his passion for the work he does so well; besides, he is very well supported by the viticulture and oenology team in the hands of Luís Patrão. The results come in with every new harvest. 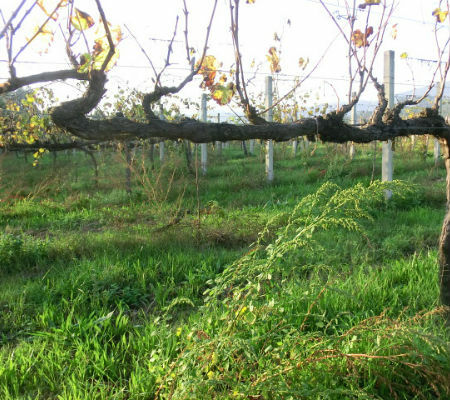 In viticulture, the ampelographic area they keep is obviously of great importance, including 188 Portuguese species as well as many others from all over the world, where much of what belongs to Portugal is preserved, and its evolution and potential are analysed. 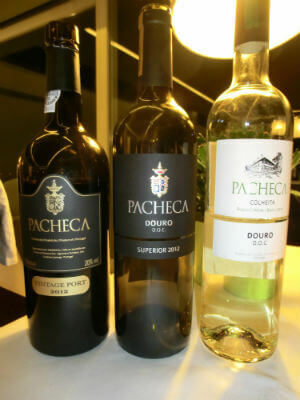 Species with odd names, such as Tinta Pomar, Molinha Macia (soft and tender), Malvasia Cândida (Candid Malvasia), Corropio (Rush), Uva Salsa (Parsley Grape), Tinta do Bragão, Arinto do Interior, Larião, Amor-não-me-deixes (Don’t-leave-me-love), Carrasquenho and many others are proving their worth. 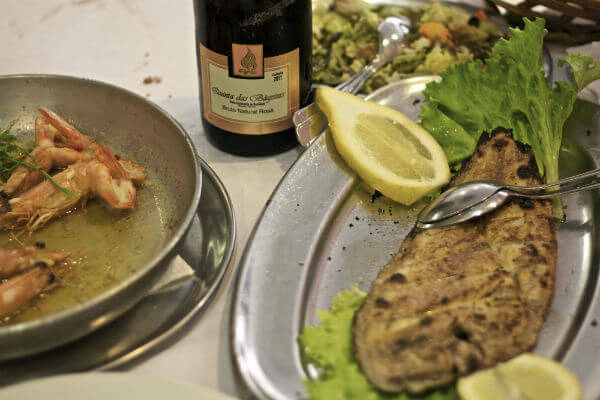 But the most traditionally Portuguese species (Alicante Bouschet, Aragonês, Touriga Nacional, Verdelho, Antão Vaz, Arinto, Roupeiro, Gouveio) and some foreign (Syrah, Petit Verdot, Semillon) are where they get the base for most of their symbolic wines. 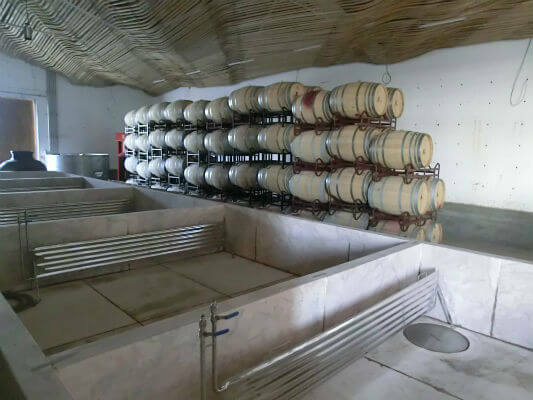 Some of these grapes are then prepared in a modern cellar that was recently renovated, to include new technical features. 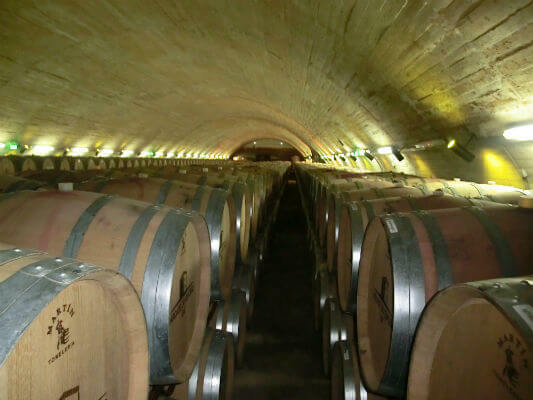 Then, they rest in that incredible gigantic cask cellar. 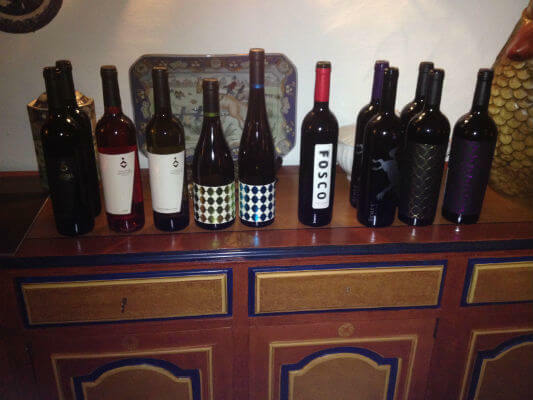 On our recent visit, we tasted a few of those and confirmed their potential, once again. 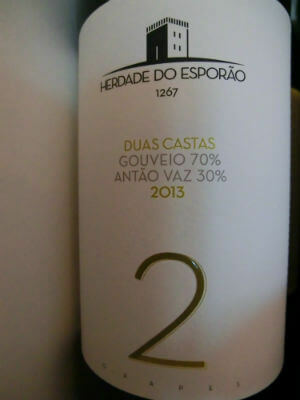 The Duas Castas white 2013, made from Gouveio and Antão Vaz, proved to be very clean, with light vegetable aromas, very citrusy and delicate. 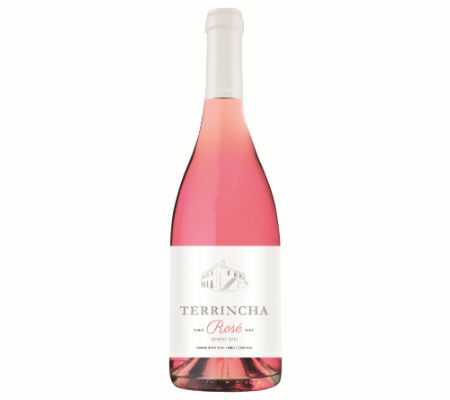 In the mouth, it is very refreshing, intense and persistent, has fruity notes and some mineral – a youthful wine. 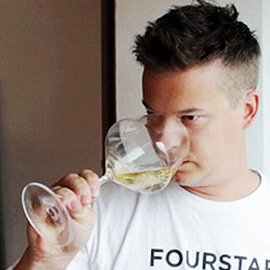 Private Selection white, also 2013, is a completely different wine. Modern and seductive, fermented in wood, which is apparent straight away in the nose, somewhat exotic, very elegant, some white fruits, smoky notes and lightly toasted. In the mouth, it’s plump, full, of buttery notes, some very soft chocolate – a very harmonious wine. Still within the whites, we move on to Reserva 2013, a classic wine, also fermented in wood and very clean, with a little fruity intensity – somewhere between citrus and white fruits – and light smoky notes. In the mouth, it’s full, ample, including very ripe white fruit, balanced acidity and some freshness combined with persistent minerality. Private Selection red 2011 reveals all the potential of an extraordinary year. Complex spicy aromas, some red fruits, very soft notes of chocolate and tobacco. : in the mouth, it’s austere, full, with notes of cocoa and coffee, intense, good acidity and a long, flavourful aftertaste. 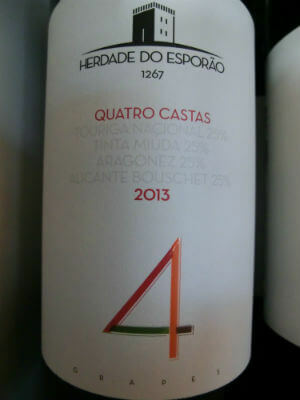 We move on to Quatro Castas red 2013, the nose is somewhat floral, perhaps red fruits and very fun notes of spices. 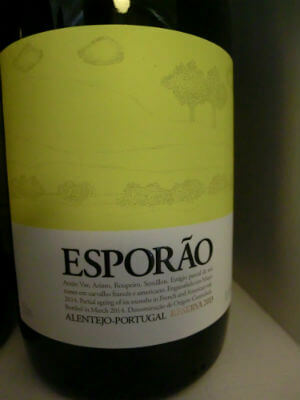 In the mouth, it’s ample, with excellent acidity, some complexity, very elegant with a very interesting medium aftertaste. We finish with a classic, Red Reserva 2012. 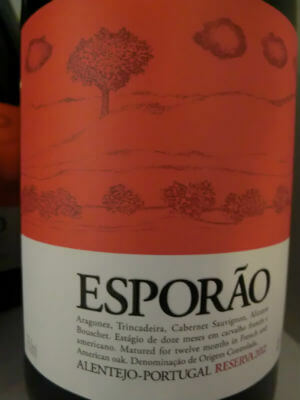 This wine has an exuberant nose and includes some wild fruits, a little smoke; it is spicy and elegant. The mouth is simultaneously elegant and austere, full-bodied, slightly toasted, with dark fruits, good acidity for balance and probably good longevity. A beautiful wine. On our way out of the estate, we had to stop at Esporão Tower, a commission by D. Álvaro Mendes de Vasconcelos built between 1457 and 1490. 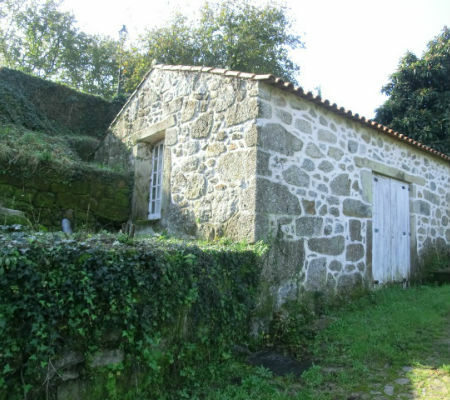 It was recovered in 2003 and, today, houses a museum of archaeology, where valuable items collected in Esporão and in Perdigões are displayed. In the Portuguese wine map, the parish of Marialva is divided between the Douro region and the Beira Interior region. 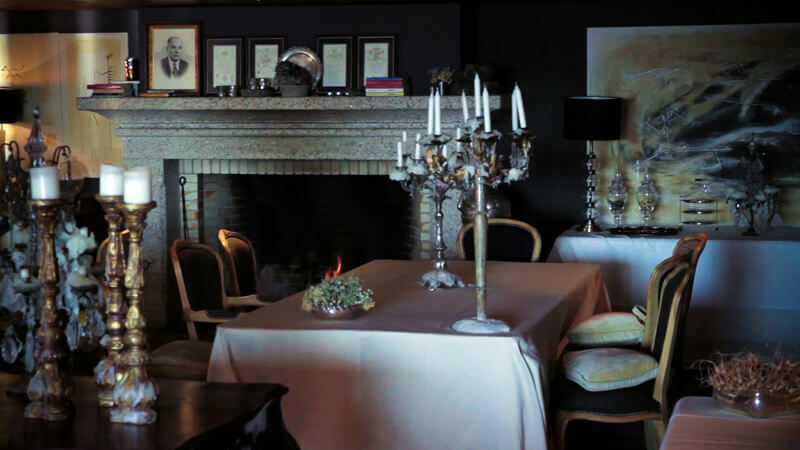 And it is in the heart of this beautiful Historic Village, of great strategic importance in the dawn of nationality, that we find Casas do Côro, a country houses unit, wine hotel and eco-friendly Spa. 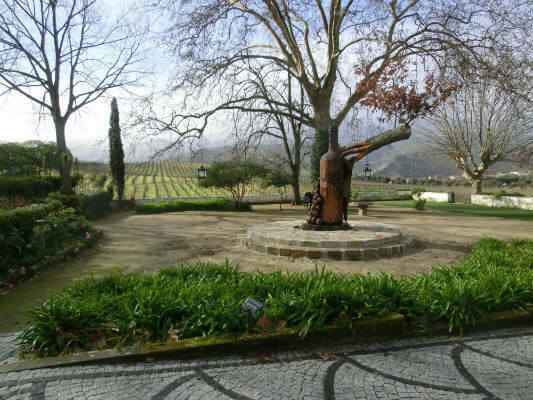 On the arrival to Casas do Côro we immediately realize how this wine tourism unit breathes history, tranquility and respect for nature, in a single concept that results from a huge passion for the land and for well-hosting by the owners Cármen and Paulo Romão. 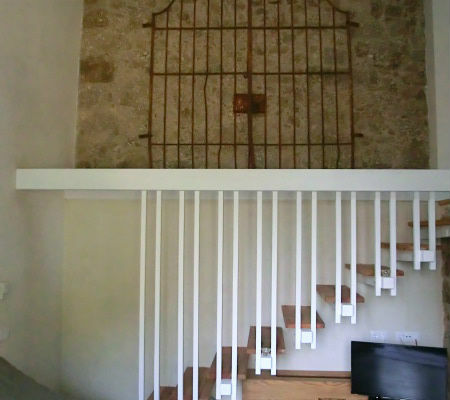 The project started 14 years ago with the simple idea of recovering the first of the houses – Casa do Côro – which became the main house of this tourism project of excellence. 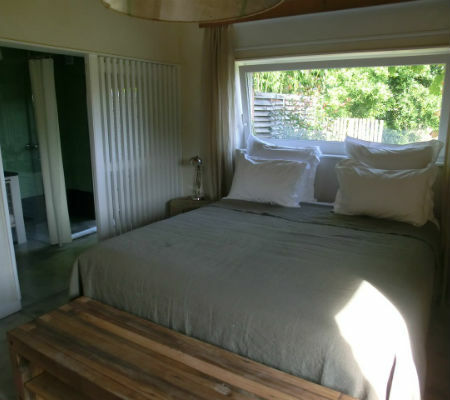 This house is like a small hotel, the only one that is not rented as a whole, and has four double rooms, one single room and a junior suite. 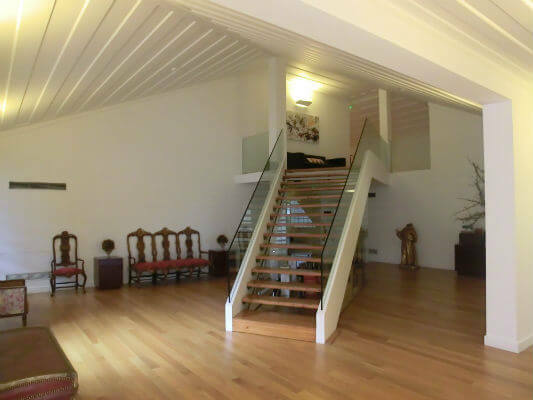 There we also find a magnificent dining area accompanied by a cozy living room. In addition to the main house, there are other eight houses in total respect for the regional architectural style, with walls in granite, shale and wood of chestnut tree and pine. 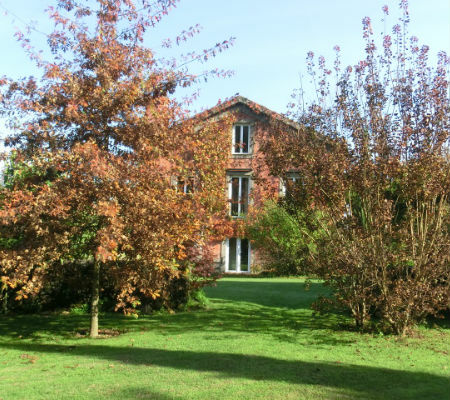 You can also enjoy the magnificent outdoor space surrounding each one of the houses, as well as the gardens and the pool, perfect for a walk, relaxing or even for a moonlight dinner on warm summer evenings. In perfect harmony with nature, we can also find the eco-sustainable suite of Bogalhais: a design space surrounded by oak trees and kermes oaks, with a sweeping view over Marialva. 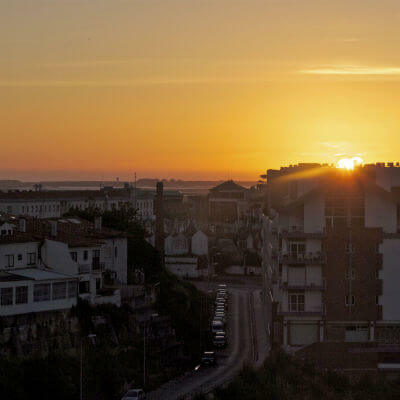 Casas do Coro currently have 24 rooms, but with the investments already made and now at the final stage, the accommodation of this unit will have in July 2014 a total of 31 rooms of 6 different types and an eco-friendly Spa. 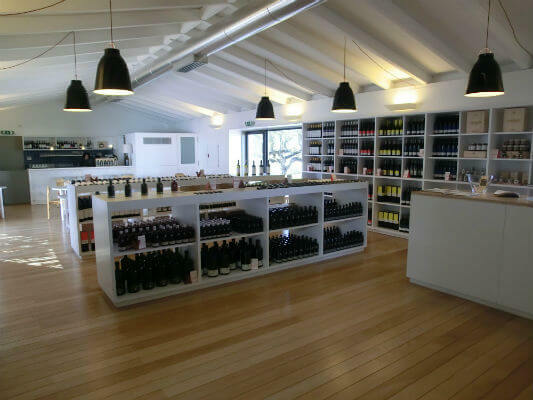 In this wine tourism unit we can also experience, of course, the tradition of gastronomy and wine in a warm and refined atmosphere. 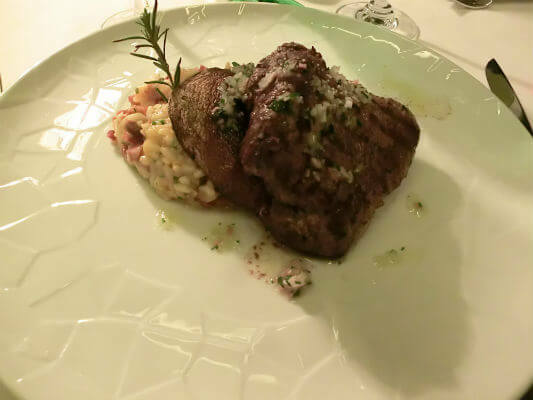 In fact, offering gastronomy of excellence is also a bid of Casas do Coro, of Cármen Romão’s responsibility. And much of what is served in everyday meals is produced in the unit and everything else is bought nearby: bread baked in a wood oven, jams, honey, natural juices of seasonal fruits from the organic garden, ripened cheese, cottage cheese, sausage and loin, home grown eggs, cakes, among others products. 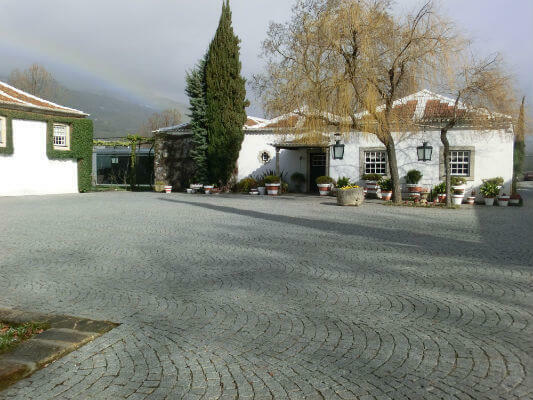 In 2008, Casas do Côro started their wine business by the hand of the friend Dirk Niepoort. 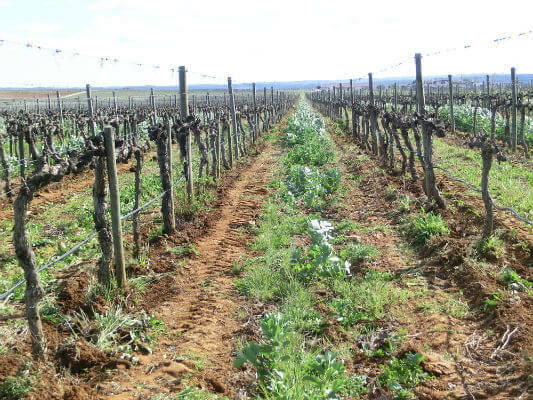 First, they started buying grapes from Marialva’s producers, but then they decided to grow their own grapes and started planting vines. 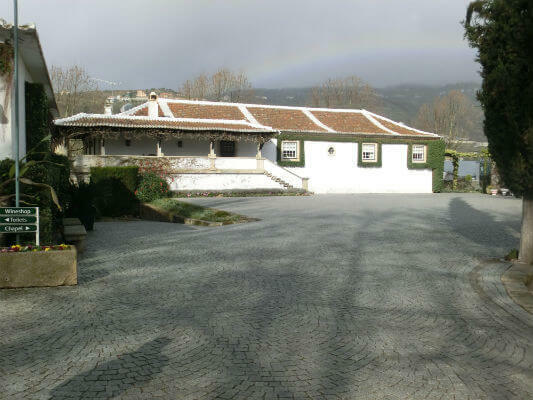 The “Casas do Côro” wines come from the two wine regions that “divide” Marialva: from Douro (Rosé, White Reserva and Red Grande Reserva) and from Beira Interior (White, Red and Red Reserva). 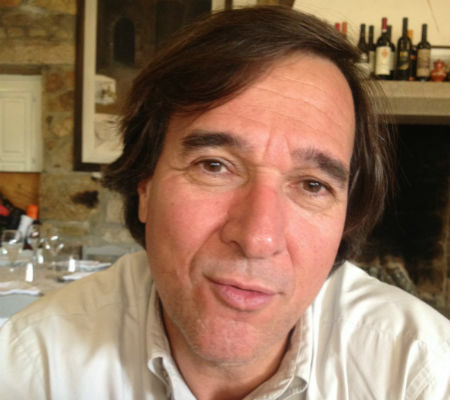 Dirk Niepoort is the winemaker of Douro Rosé and White Reserva and Rui Reboredo Madeira the maker of Beira Interior White, Red and Red Reserva and Douro Red Grande Reserva. Apart from finding wines selected by Paulo Romão at “Loja do Côro” shop, wine enthusiasts still have the opportunity to enjoy wine experiences with the various programs offered by this wine tourism unit: “Casas do Côro & Gourmet & Wine Experience, “Casas do Côro & Oporto Ramos Pinto Experience”, “Casas do Côro & Wine & Train Tour Experience” e “Casas do Côro & Douro Boat & Ervamoira Museum”. In these 3 day programs, we can enjoy wine tastings, visits to wine estates and cellars, moments of gastronomic tasting and evening walking tours and visits to the Historical and Architectural Heritage of Marialva. 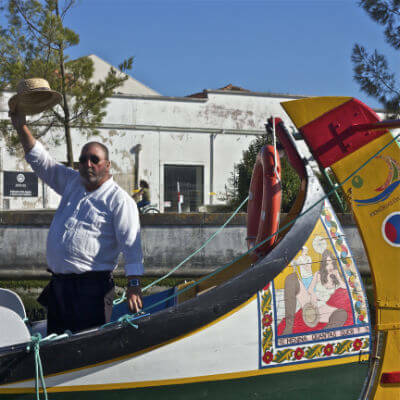 According to Paulo Romão and his wife Carmen, much more than a hotel, Casas do Coro means “love, family, culture, history, heritage and land”. To me, it’s a true (de)light of Marialva!